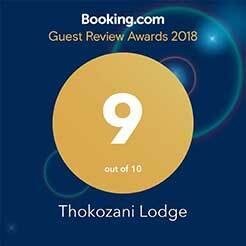 Your accommodation in White River and point of departure and return for trips to the Kruger National Park, the Panorama Route, Blyde River Canyon, Bourke's Luck Potholes, God’s Window, Pilgrim's Rest as well as many other marvellous sceneries and cultural attractions. The family room is en-suite (shower & toilet) and is furnished with handmade wooden furniture in rustic style. It has 1 double bed or 2 single beds & 1 bunk bed. For a safe and peaceful night the bed is equipped with mosquito nets. Bedding and Towels provided. The Room has a separate entrance and beautiful view to the garden. Free Coffee and Tea buffet, barbecue, fridge and microwave. The Bungalow is en-suite (shower & toilet) and furnished with handmade wooden furniture in rustic style. It has 1 double bed or 2 single beds & 1 bunk bed. For a safe and peaceful night the bed is equipped with mosquito nets. Bedding and Towels provided. Each Bungalow has a private terrace, free Coffee and Tea buffet, air con, barbecue and a fridge. Each Bungalow has an outdoor sink, double hot plate, toaster, cutlery and crockery (not a fully equipped kitchenette). The Timber-Hut is en-suite (shower & toilet) and furnished with wooden furniture in rustic style. It has 1 double bed. For a safe and peaceful night the bed is equipped with mosquito nets. Bedding and Towels provided. The Timber-Hut has a private terrace, free Coffee and Tea buffet, air con, barbecue and a fridge. The Timber-Hut has an outdoor sink, double hot plate, toaster, cutlery and crockery (not a fully equipped kitchenette). 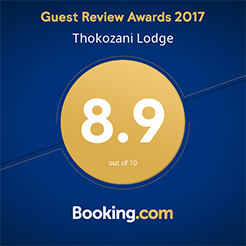 Thokozani Lodge is situated in the heart of the Lowveld. Only a short 30 minutes drive takes you to Kruger National Park. 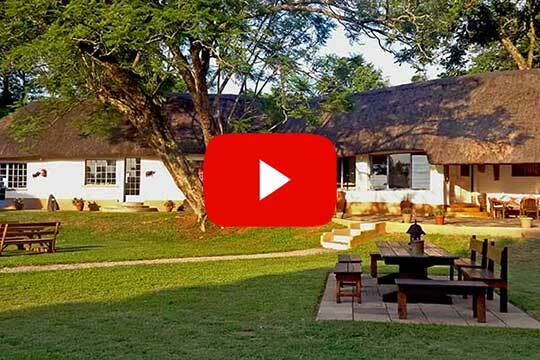 Watch the Big Five and all the other fascinating wildlife. The Panorama Route offers a kaleidoscope of breathtaking scenery and natural beauty. 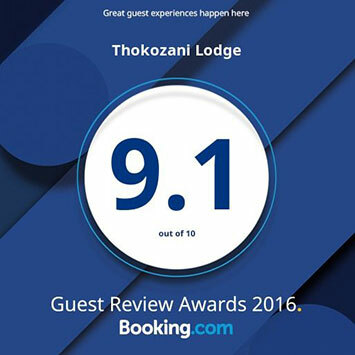 Magnificent forest, spectacular views, picturesque waterfalls, the Blyde River Canyon, Bourke’s Luck Potholes, God’s Window, Pilgrim’s Rest - makes that part of the country an unforgettable experience. To get the real experience of all the natural beauty, whether your interest be hiking, bird watching or fauna and flora studies, walk one of the many exciting and beautiful trails. A must for nature lovers! We offer tours to all natural and cultural attractions. However, adrenaline junkies can also get their next rush by bungee jumping, abseiling and white water rafting. More gentler pursuits include horse riding, golf and tennis. Whatever you like to do, you should not miss seeing one of the traditional villages and getting to know their fascinating way of life and culture. Listen to stories about history and visit the Sangoma, the traditional medicine man.